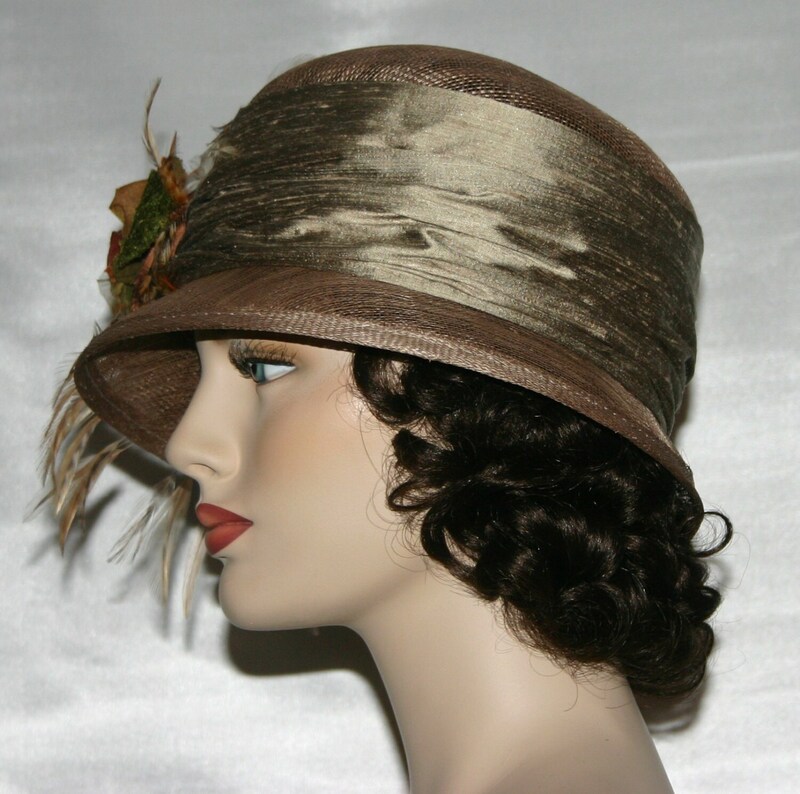 Flapper Hat Gatsby Hat "Spice Tea" is designed over a taupe sinamay hat base. The hat band is silk. 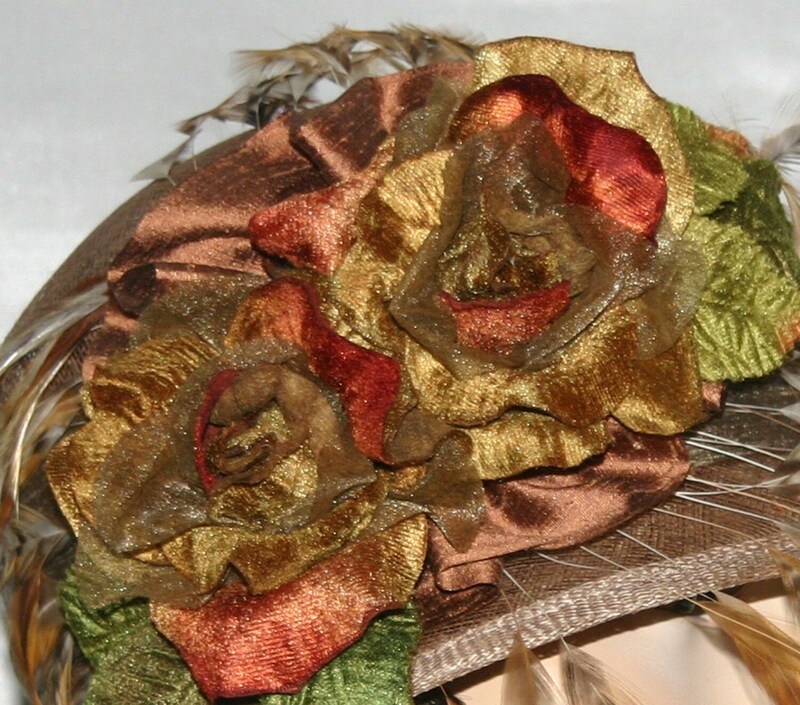 The roses are "old" millinery stock from a shop that closed in Paris; they're velvet and organza. The back drop is delicate coque feathers. 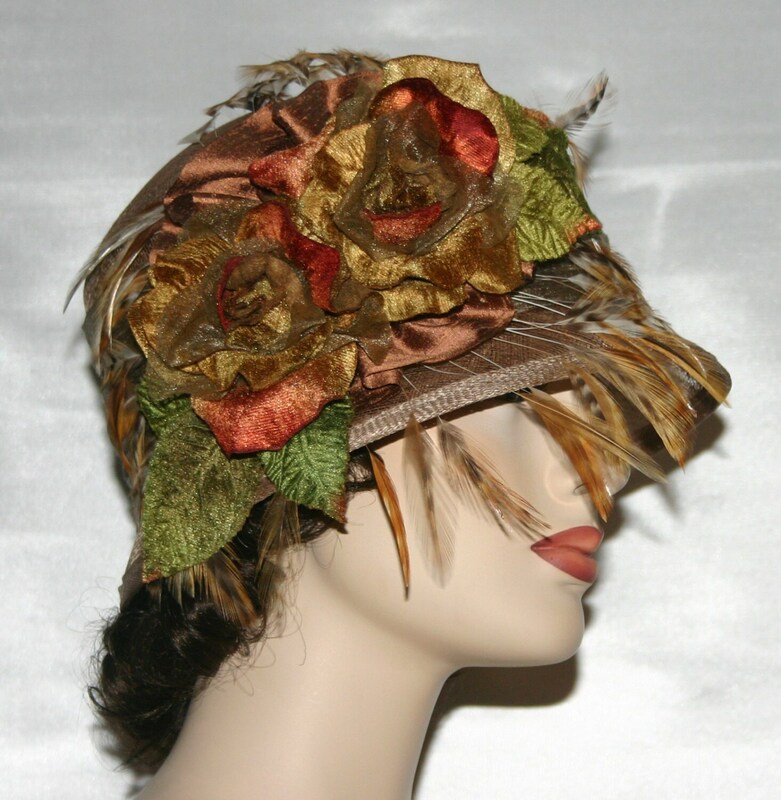 This hat is perfect for a Gatsby or Flapper event, a fall tea party, church or wedding! 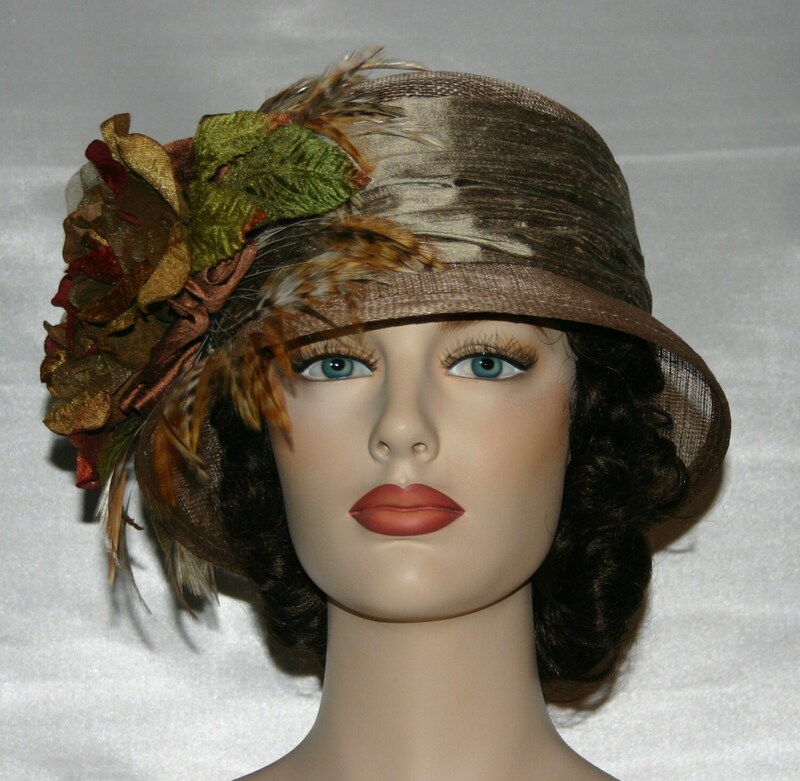 This hat size measures 22 7/8 inches and has a built-in hat size reducer so it can be made smaller for a perfect fit. Please see instructions below: How to measure your head. 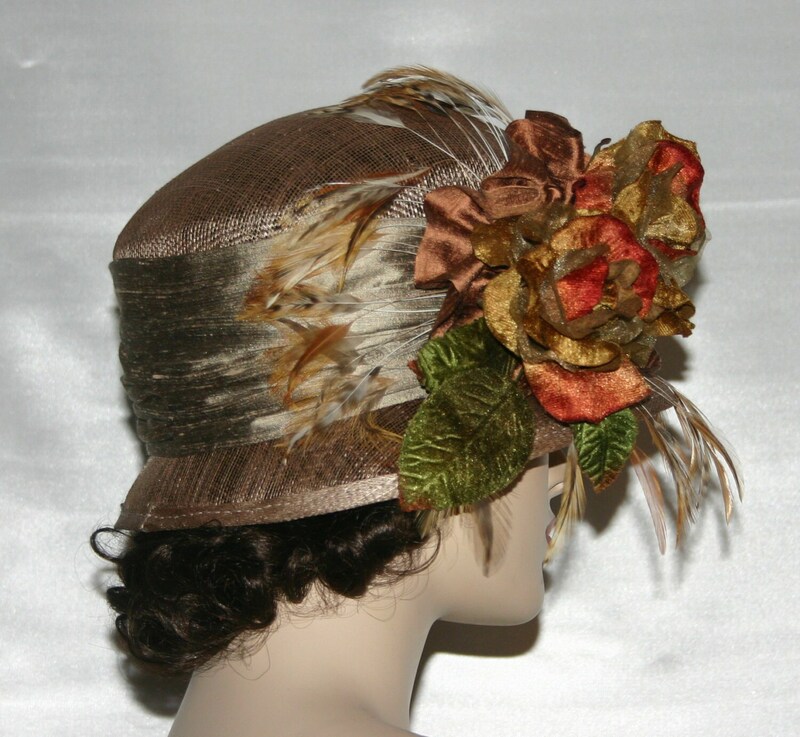 I only have the supplies to make one more of this design...so don't think about it too long, or it will be gone ~ There was a limited edition of 6 hats in this style.